Personal trainer Arjun takes amazing fitness classes in Matunga. Arjun is a fantastic trainer who trains holistically and trains for general fitness and marathon. A third of the time is spent on running, a third on stretches, and a third on strengthening muscles used for running. We go to his classes at Five Gardens in Matunga three times a week where he trains from 5.45am – 7am. All you need to do is get your mats, a bottle of water and a hand towel. We never feel sore or tired and it has been over two weeks since we joined the classes and we already feel better, more toned and fit. He also organises really fun weekend treks. You can get in touch with him on +91 98673 81347. 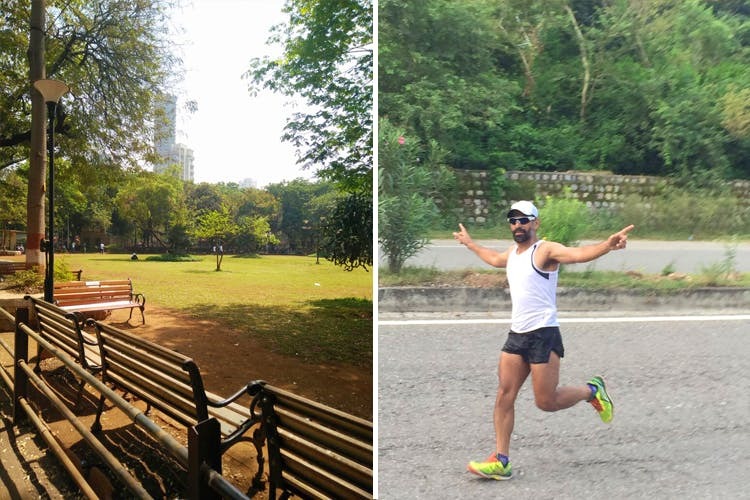 We love this fun outdoor class in Matunga because we get super motivated here to get fit.